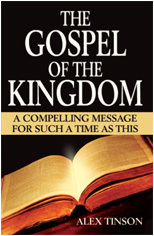 Jesus said the one sign we are to look for to know He is coming is the, 'Sign of the Son of Man,' (Matt.24:30). But what is this sign we are supposed to be waiting for going to look like? "And then the sign of the Son of Man will appear in the sky, and then all the tribes of the earth will mourn, and they will see the Son of Man coming on the clouds of the sky with power and great glory. And He will send forth His angels with a great trumpet and they will gather together His elect from the four winds, from one end of the sky to the other," Matt.24:30-31. As a young believer I wondered what this great sign was. Given that the cross is universally known as the symbol of Christianity, I wondered whether this great sign would be a giant cross suddenly appearing in the sky showing people that it was Jesus returning in glory? I even wondered whether the sign could be a symbol or outline of a great fish such as people have on the backs of their cars to show they are Christians. I didn't really know; I was rather ignorant of these things. Then when reading Daniel chapter 7 verses 13 and 14 it all became very apparent. "I kept looking in the night visions, and behold, with the clouds of heaven One like a Son of Man was coming, and He came up to the Ancient of Days and was presented before Him. And to Him was given dominion, glory and a Kingdom, that all the peoples, nations and men of every language might serve Him. His dominion is an everlasting dominion which will not pass away; and His Kingdom is one which will not be destroyed," Dan.7:13-14. "Fall on us and hide us from the presence of Him who sits on the throne (the Father), and from the wrath of the Lamb (Jesus the Christ receiving the Kingdom); for the great day of their wrath has come, and who is able to stand?" Rev.6:16-17. Once the Lord Jesus receives the Kingdom He sits on His glorious throne, the throne of David and exerts His authority over His church and over the nations. 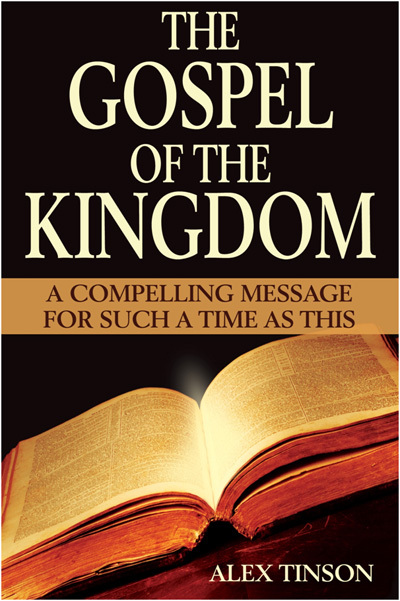 Excerpt from "The Gospel of the Kingdom," by Alex Tinson.